Central University of Kashmir recruitment 2018 notification has been released on official website www.cukashmir.ac.in for the recruitment of total 08 (eight) jobs out of which 02 (two) for Upper Division Clerk, 01 (one) for Junior Engineer and Various vacancies. Job seekers should apply on or before 19th January 2018. 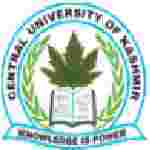 Here on this page you will get the details like the Name of vacancies released by Central University of Kashmir with exact number of posts. Some other criteria like Education details, application fee and way to apply application for Central University of Kashmir recruitment 2018. Educational Qualification: Bachelor’s Degree from any recognized Institute/ University or Speed in English Typing @ 35 wpm OR Speed in Hindi Typing @ 30 wpm for S.no-1.Bachelor’s Degree of Engineering in relevant field from a recognized Institute/ University or Diploma in Engineering in the relevant field for S.no – 2. Fee charges: Applicants who wanted to participate for Central University of Kashmir should pay the below charges through online mode (Debit or Credit Card / Net Banking). Interested and eligible aspirants may apply in prescribed application form along with self-attested copies of degree certificates/ marks sheets/ experience certificate/ category certificate send to the Recruitment Section, Nowgam, Near Puhroo Crossing, Srinagar-190015, J&K on or before 19.01.2018.